This weekend, me and two friends decided to try out the D&D Next playtest that was released a couple weeks ago. Our campaign had reached a point that allowed for us to play some interstitial scenes in the story; since we'd be running a couple different side-characters, it made for the perfect opportunity to run a different set of rules. We had been playing a 4th edition game bi-weekly, with a campaign I had been DMing for over a year now. I enjoy the 4th edition rules because it was easy to run the NPCs, monsters, and encounters. I didn't feel I needed a lot of research, background, or planning to run the rules for a session. However, the D&D Next playtest came with pregenerated character sheets and a short description of rules that made it easy for all three of us to get playing. The first scene we ran was with the two clerics provided. They were first level characters and encountered a wight. The second scene we ran involved the halfling rogue and dwarven fighter trying to rob a den of ill repute only to be trapped within by half a dozen zombies. In both cases, the character sheets were played unaltered and the monsters came straight out of the playtest's provided bestiary. One of the things we all liked was how much faster the combat went. All of the grid system, measurements in squares, set types of actions and powers, and mechanical feel of 4th edition is gone. This immediately got us more into the game, describing our actions colourfully. Something as simple as changing position became flavourful. The fights felt more roleplay-y and less miniature-war-game-y. Also, the advantage-disadvantage mechanic is brilliantly elegant. 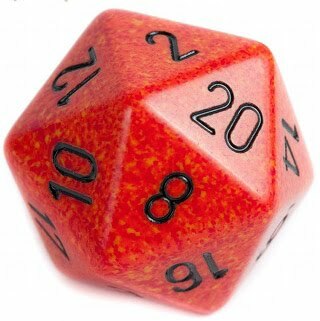 It simplifies innumerable bonuses and negatives down to a single rule: roll two D20s and use the higher result if you have the advantage or use the lower result if you have the disadvantage. This one rule makes every place its used faster and satisfying. I liked the focus on attributes for attacks, saves, skill checks, etc. It isn't too different from what 4th edition is doing, but it feels like they are more important. Also, it makes the character sheet much easier to look at. Finally, we look forward to seeing how the "theme" and "background" elements of characters work out. They seemed to add just the right amount of customization, the right type of seeding to make a more interesting character out of the sheet. This is only the first playtest, and D&D Next may change into a completely different beast between now and its final version. But so far, it feels a lot more like an old school Dungeons And Dragons experience, but with a quicker easier way of getting into it. All three of us enjoyed it immensely, and look forward to the next set of playtest rules.